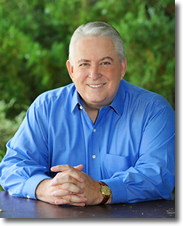 Global Advance was founded in 1990 by Dr. David Shibley. In the 1980’s God put a vision and burden in his heart to provide encouragement, resources and training for “frontline shepherds” (pastors) in destitute nations of the world. Global Advance became a friend and advocate to indigenous pastors and church planters world-wide, challenging them to be catalysts for fulfilling the Great Commission. In 2000 the Global Advance Ambassadors Network was formed which is now comprised of numerous churches, ministries and business leaders who work together to equip leaders globally. In 2010, Global Advance launched The Esther Project, an initiative to encourage and empower women in underserved nations to be difference makers. To obtain more information about Global Advance on their website at www.globaladvance.org.